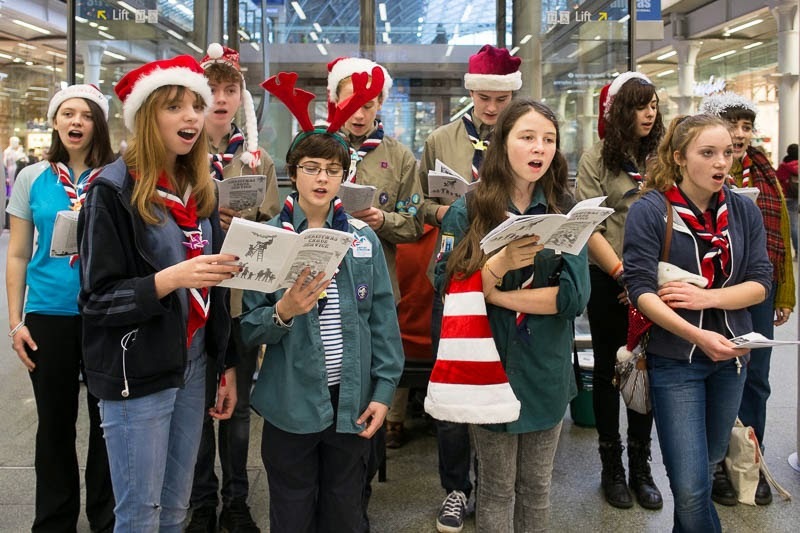 Travellers at St Pancras Station being entertained by the melodic voices of a group of scouts singing Christmas carols, all in aid of funding their jamboree in 2015. GOD JUL / MERRY CHRISTMAS to you too! Su cute with the hats and the antlers. A Merry Christmas to you too. Would you believe I had carol singers at my door this year! Happy Christmas, Mo. A colourful group. Merry Christmas to you! Very cute. Merry Christmas, Mo.